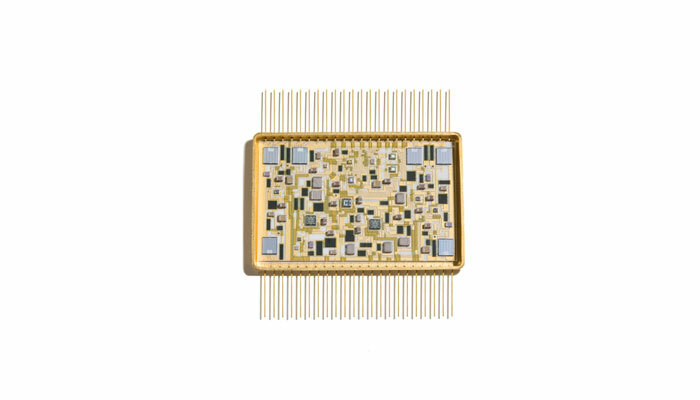 Micro-electronic solutions for demanding applications. Using a combination of expertise, heritage & state-of-the-art design tools we successfully realise advanced electronics solutions destined for harsh and demanding operating environments. From the vast heights of space to the deepest depths of oil wells. We currently supply and support electronics in numerous land based applications. Our sensors on challenger tanks and earth moving equipment are literally ground breaking. We have worked closely with Formula 1 to maximise performance of engines. For something out of the ordinary we produce a range of opto-electronic sensors which range in use from gas analysers to animal welfare. We have a great heritage with the Royal Navy, we've been working with them since the 60’s. We proudly provide ongoing support for critical equipment used on the British and Canadian nuclear fleet. We have been heavily involved in the design and manufacture of various marine radar systems for trawlers and tanker fleets. We have been a key supplier of electronic solutions for high profile aircraft for decades. Our work is used in military aircraft such as the Tornado, Harrier, and Eurofighter, and the Merlin and Chinook helicopters, as well as civil aircraft such as Concorde. We have a proud history of supplying products that are ultimately used by major satellite prime subcontractors. These are used by satellite operators for applications which include communications, remote sensing and defence applications.